Roasted Tomato Soup is made with baked Roma tomatoes, onions, carrots, garlic, chicken broth and spices that are blended together into a smooth velvety fall soup. Tomatoes and vegetables are first coated with olive oil and baked in a large foil lined baking pan at 450 degrees for 60 minutes. After cooling vegetables for 5 minutes, the veggies are blended together using a blender or immersion stick blender. This soup is best served with crusty bread, mini toasted cheese sandwiches or cheddar cheese straws. The cheddar cheese straws can be shaped into large spoons or small pressed cookie style designs. To help blend the roasted vegetables use a blender or immersion blender for best results. Roma tomatoes are suggested for this hearty soup, they have a fuller flavor and bake beautifully. Easy simple fall soup that you will want to serve often. Garnish: Flat leaf parsley or celery sticks. 1. Preheat oven to 450 degrees. Line a roasting pan with Aluminum foil. Spray foil with cooking spray. 2. In large bowl, combine tomatoes, onion, carrots, garlic, olive oil, salt and pepper. 3. Pour vegetables into prepared pan and bake for one hour. At 30 minutes stir, continue to bake another 30 minutes. Remove from oven and cool 10 minutes. 4. Using a blender or immersion blender, blend vegetables to puree or very smooth. 5. In large stock pot, combine puree, broth, lemon juice, Worcestershire sauce, more salt and pepper if needed. Add red pepper if desired. Whisk until smooth. 6. Bring to a simmer over medium heat. Cook 10 minutes. Serve in shot glasses or small glass bowls, garnish with celery sticks and Mini Grilled Cheese Sandwich triangles. 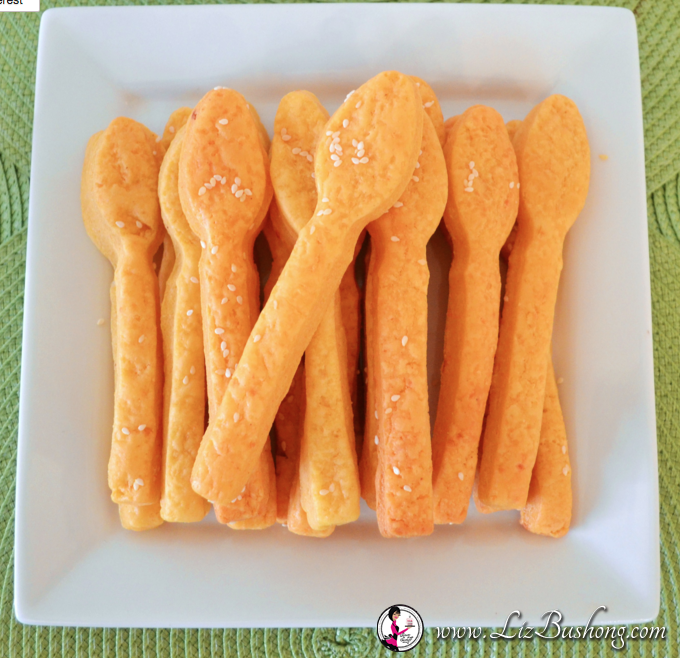 Or cheddar cheese straws shaped in large spoons or cookie pressed into shapes.